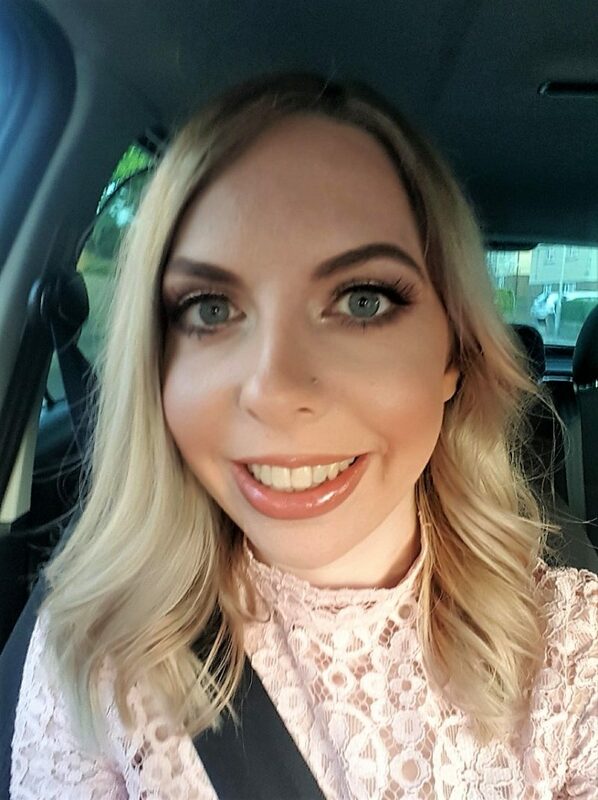 Christmas party season is definitely upon us. Around the country, people scour the alcohol aisle in their supermarket for the best Christmas tipples. With just a few bottles of Lambrini and some other ingredients you can make a whole array of cocktails! I was recently sent some samples of their different flavours to test them out with my family ahead of Christmas dinner. We usually stick to the same choices of wine, Baileys and snowballs. It’ll be nice to have another option on the table this year! The So Strawberry arrived first. After a week, there was no sign of the other samples (they actually took 3 weeks to arrive). As such, we decided to just try it out with our roast dinner that Sunday! It was a lovely, light fruity strawberry flavour. I know some people are quite sensitive to strawberry flavoured things and a couple of my family members did think it tasted quite chemically. However, I loved it and could have kept drinking it. However, I think that even those who didn’t like it neat would like it in a cocktail. 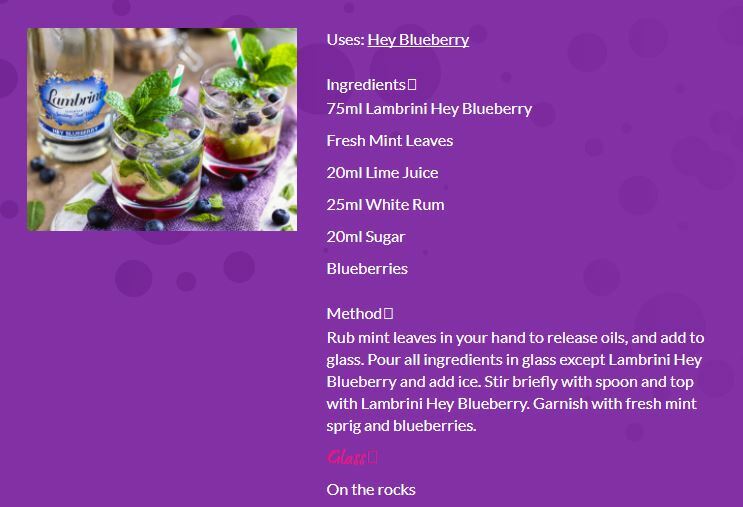 The Sweet Berry Sunshine on Lambrini’s website looks gorgeous. With a mix of this, white rum, honey and lime, I would really like to try it! After the other samples arrived, the whole family was unwell for the period of a week and a half or so. As such, last weekend was the first time we’d got together since we went on holiday to Bluestone three weeks ago! I decided to try out making some blueberry mojitos for us to sip before our dinner. One thing I learnt the hard way was that you definitely don’t just mix all the ingredients together. 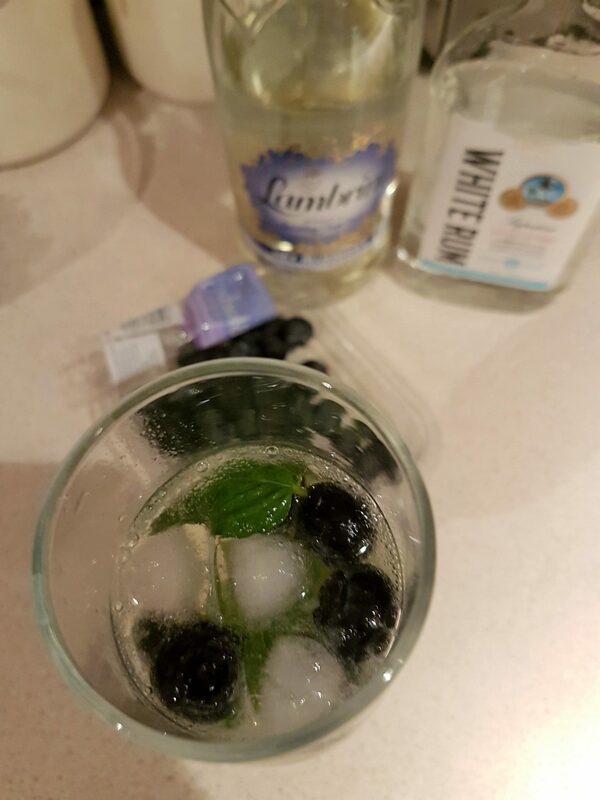 I’d never made a cocktail first and mixed EVERYTHING by mistake. It didn’t taste right, but when I followed the instructions properly it was lovely! I only had a couple of tiny sips because the white rum was very strong and I had to drive a few hours later. However, I’m looking forward to making it again when I don’t have to drive because I really enjoyed it. My mum absolutely loved it too. I just need to work on my presentation skills, to make it look fancier now! 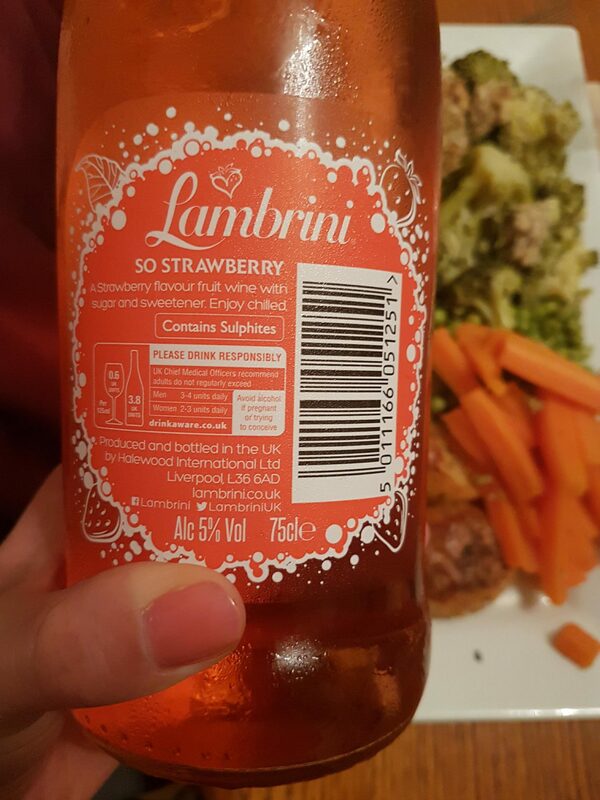 We still have bottles of Light Lambrini (for skinny cocktails) as well as a few other flavours. They’ll definitely keep us going through Christmas, Boxing Day, my Dad’s birthday, New Year’s Eve and my birthday. Yep, it’s a very busy week for us! I’m looking forward to experimenting with making some other cocktails. If I manage to make them look any fancier, I might even post some of them to Instagram! What’s your favourite tipple at Christmas? 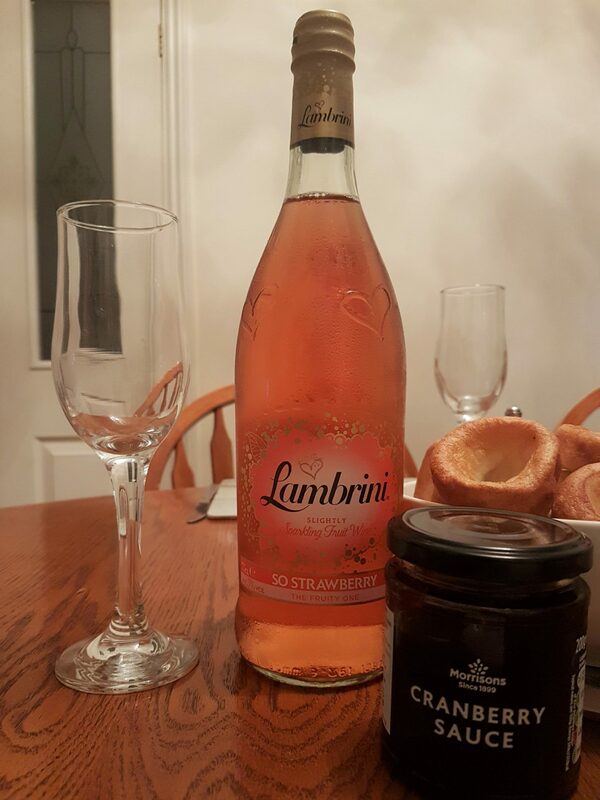 Disclosure: I was sent several bottles of Lambrini in various flavours for the purpose of this blog post. As always, all views and opinions are honest and my own.